Back in college I was helping a farmer in the Summer and saw it setting in the shed, and fell in love. 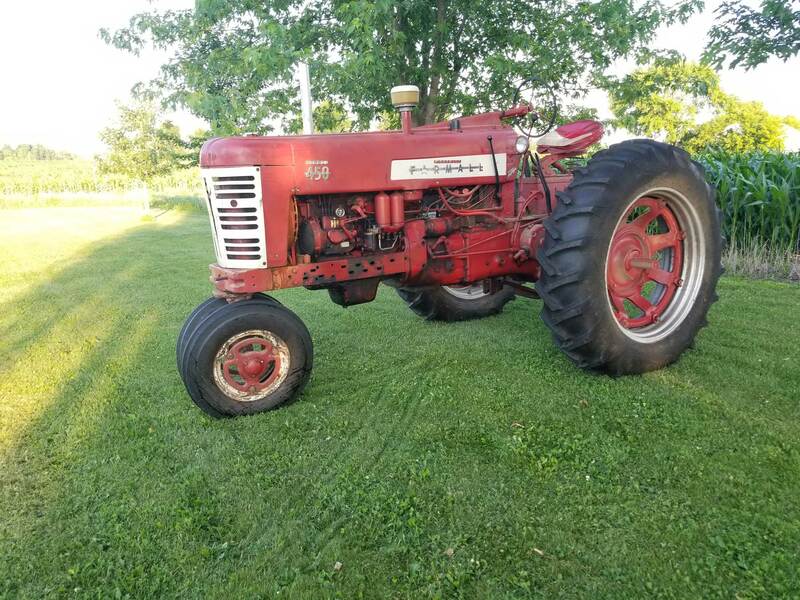 It was a 1957 Farmall 450 diesel with TA. He said it hasn’t run in years due to a bad injector. So I am 29 now and 2 years ago it came up for sale so my Dad and I purchased that same tractor. I was able to find a used injector online and got it running. It needs a radiator due to a hole in the top and a few minor things like a tachometer, headlight wiring, and I did drain 15 gallons of water from the transmission. But it dyno’s at 58 hp which was enormous for a 50’s tractor. And only being produced from 1956-1958 it is rather rare. I have always loved IH/Farmall tractor since I was little. 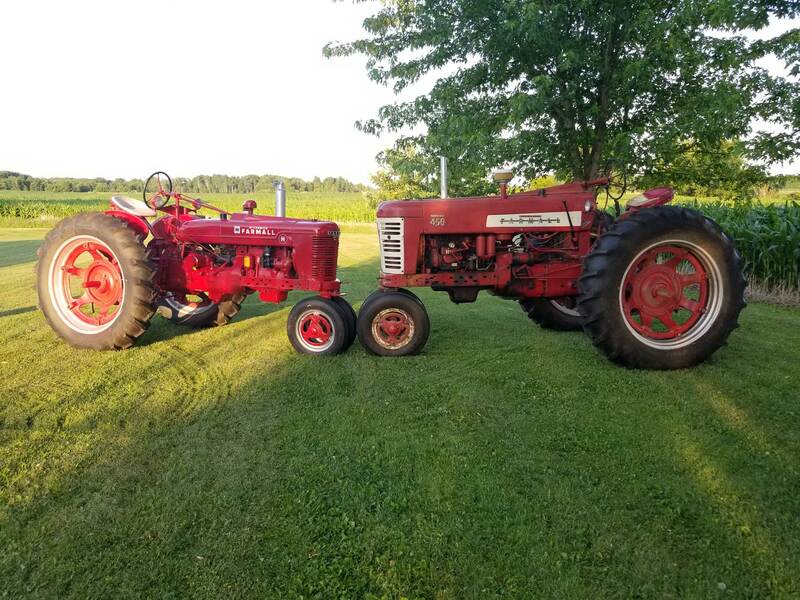 I have recently acquired my late Grandfather’s restored 1945 Farmall H, and I know he would of loved to see what I’ve accomplished so far with the 450. And it sounds killer with a straight stack. I plan to use the tractor in parades and to use it around the farm when making hay, not work it too hard, just enough to keep it from dying a slow death from just setting around. I feel all old equipment should have its legs stretched at least once a year. Read more Farmall / International stories here. Farmall 450 is one of my favorite tractors. My late uncle had one with a loader on it. It was his “big” tractor even up until he died in 2007.